Master bath shower tile design concept. 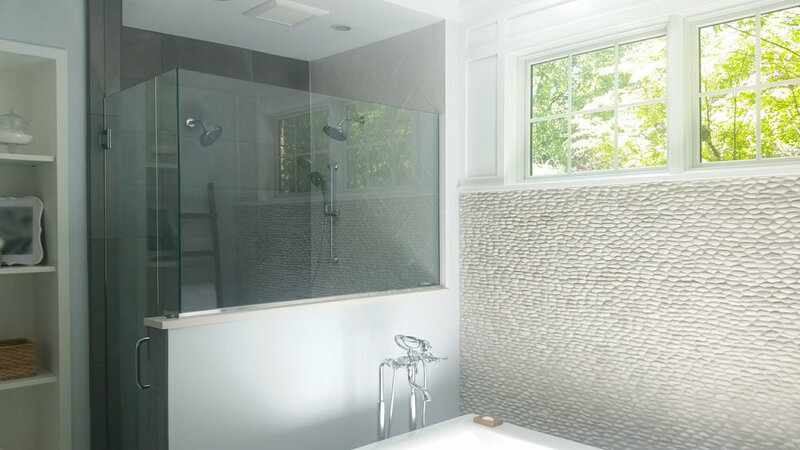 Master bath window casing and pebble wall concept. Master bath window casing and pebble wall completed. Casing and paneling primed. 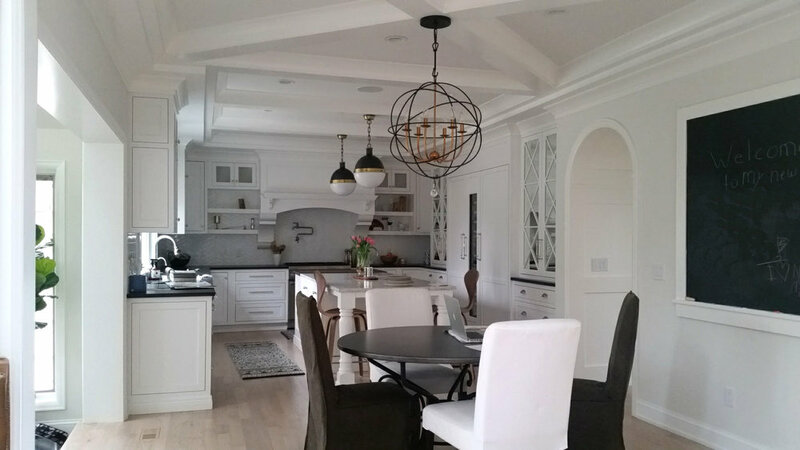 Cabinetry protected for kitchen painting. Shiplap foyer and stairwell walls with open-tread stairway concept. 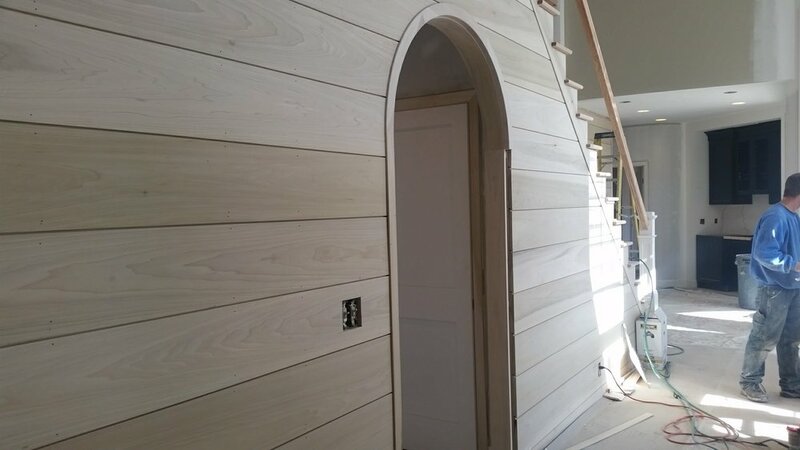 Shiplap foyer and stairwell walls with open-tread stairway concept Arched, cased opening introduced. Image overlay. Shiplap foyer and stairwell walls with open-tread stairway sanded and fitted. Shiplap foyer and stairwell walls with open-tread stairway primed. 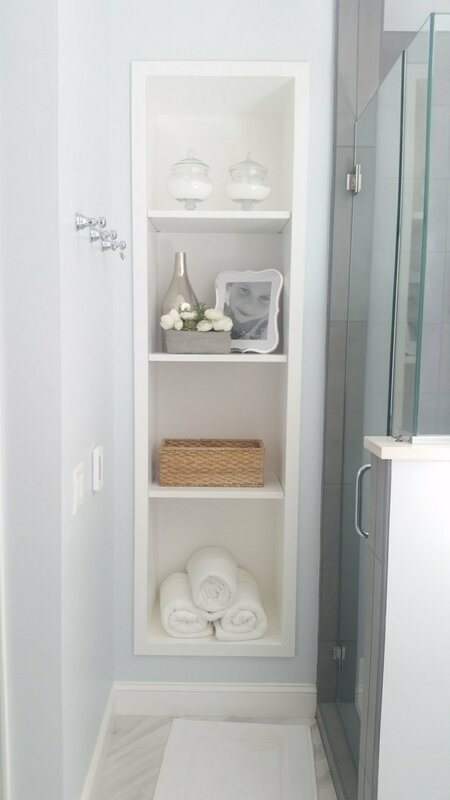 Arched, cased opening with hidden, sliding pantry drawer concept. Arched, cased opening with hidden, sliding pantry drawer primed.